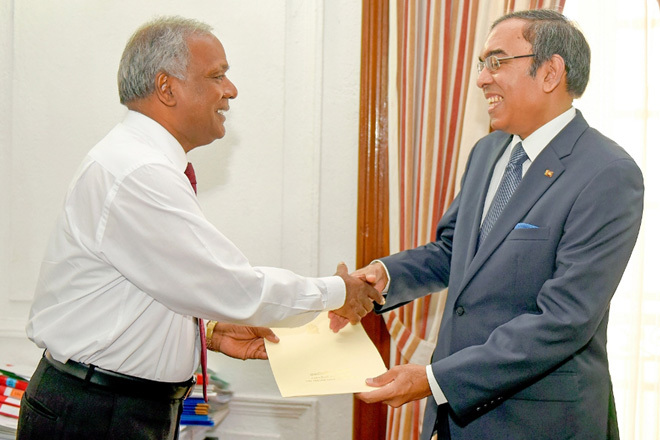 Esala Weerakoon, member of the Sri Lanka Foreign Service batch of 1988 received his letter of appointment as the Secretary to the Ministry of Foreign Affairs, today 1st August 2016, from the Secretary to the President. He has served as High Commissioner to India and Ambassador to Norway. His foreign postings include assignments as Actg. High Commissioner to Seychelles, Deputy High Commissioner in Sri Lanka’s High Commission in Canberra and Deputy Chief of Mission in Sri Lanka’s Embassy in Washington DC. He has also served in Sri Lanka’s Missions in the United Kingdom, Japan, Malaysia and France. Apart from serving in different Divisions in the Ministry of Foreign Affairs, he has also worked as Additional Secretary to the Ministry of Economic Development and the Ministry of Housing and Samurdhi. 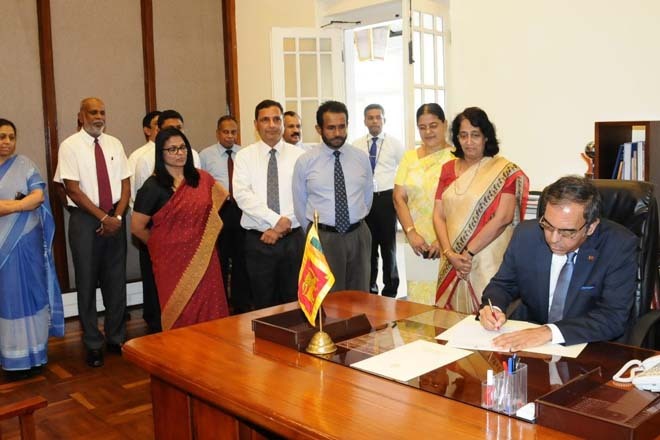 Weerakoon assumed duties at Secretary to the Ministry of Foreign Affairs yesterday (01) morning.